*This is a doggone shame. We hope the cousin who made the dare understands the gravity of their action. What we’re talking about happened back in March when 8-year-old Ki’ari Pope carried out a dare made by a cousin of the same age to drink boiling water through a straw. Unfortunately, on Monday (07-31-17) Ki’ari died from her injuries. According to the Palm Beack Post, Pope notified her mother’s boyfriend that she was having difficulty breathing and became unresponsive. Upon arrival at Jackson Memorial Hospital around 12 a.m., Pope was pronounced dead. When she was first taken to a hospital after drinking the scalding water, medical officials said Pope endured burns to her mouth and throat. Doctors decided to perform a tracheotomy to help with respiratory abilities. 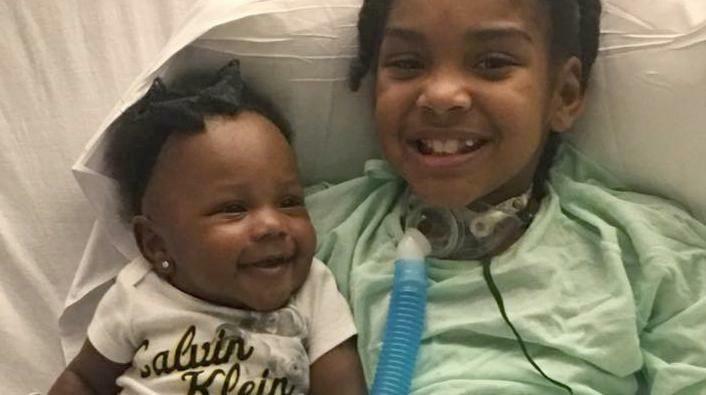 Florida’s Department of Children and Families (DCF) then deemed her “medically compromised.” The procedure — which places a tiny opening in the windpipe — resulted in deafness and “chronic respiratory problems,” the site notes. “The loss of this child is truly devastating, and our condolences go out to all those who loved her. We have opened a child death investigation to examine the circumstances surrounding her death and will deploy a Critical Incident Rapid Response Team to review all interactions this family has had with Florida’s child welfare system,” Department Secretary Mike Carroll published in a statement. From 2009-2016, reports of alleged domestic violence between Pope’s mother, Marqusia Bonner, and her significant other have surfaced. The family has set up a GoFundMe account to help with funeral arrangements.